We are delighted to announce that Umar Saleem, a photographer and fellow Scotland lover is joining Artisans of Scotland. Together we will be sharing some of the most beautiful places in Scotland with you. Our hope is to encourage those of us who have the privilege of living in this awesome country to get out and explore these wonderful locations and inspire those abroad, to come visit Scotland! With sensitive and minimal post-production, Umar’s images capture the real colours and tones of the scenes as he saw them, so you can see them just like this too. In future posts we’ll be sharing the story behind some of these shots, how they were captured and share Umar’s photography tips. We’ll also be writing about some great trips that take in some of these sites. Enjoy! The Buachaille is impressive at the best of time but when it’s snow capped and it’s melt water is rushing through the rivers and streams below it’s just ridiculous. This has to be one of our favourite prints in the collection, showing off one of the primary location of the Skyfall movie (James Bond). It’s wonderful even as a drive (especially in a DB5) but best enjoyed on foot. You can find a list of walks on the highland walks website. 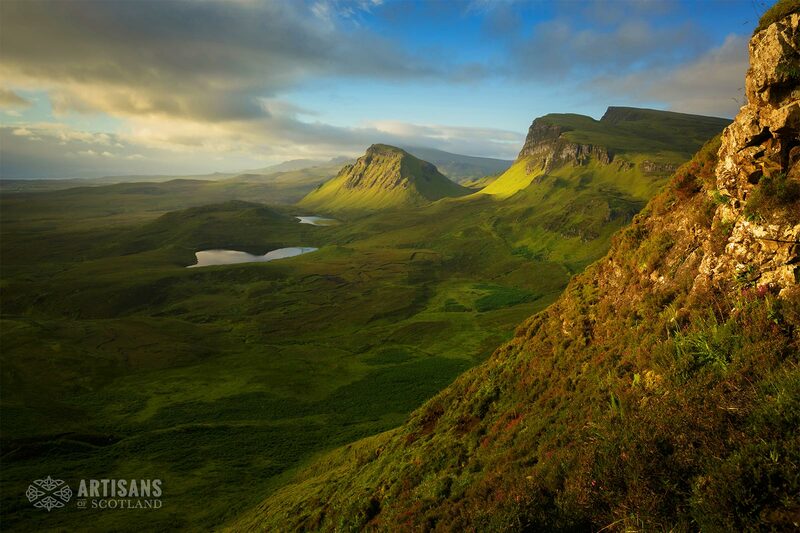 The Quiraing is found on the Isle of Skye, off the west coast of Scotland. It is awesome! It is a place of wonder and amazement. It is outstanding by any measure. If you are fit enough to walk the narrow path and scramble up and down the steep slopes – you must do it. 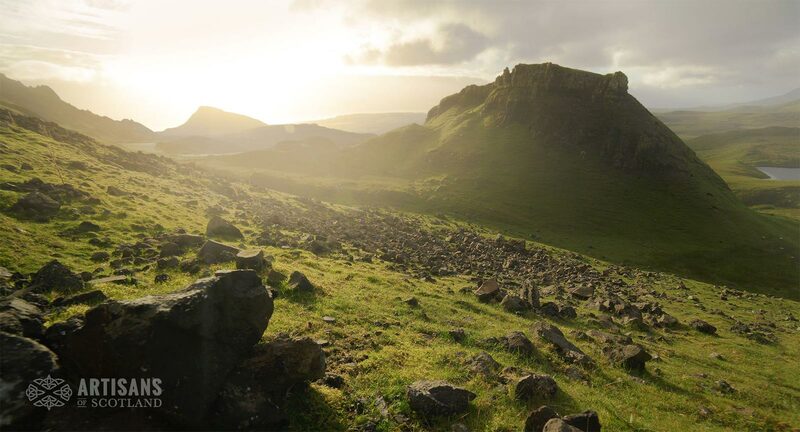 To visit Skye without experiencing the Quiraing seems unthinkable, it is without a doubt one of the most beautiful places in Scotland. This image is particularly special as the light catches the slopes as it dives down below the horizon. 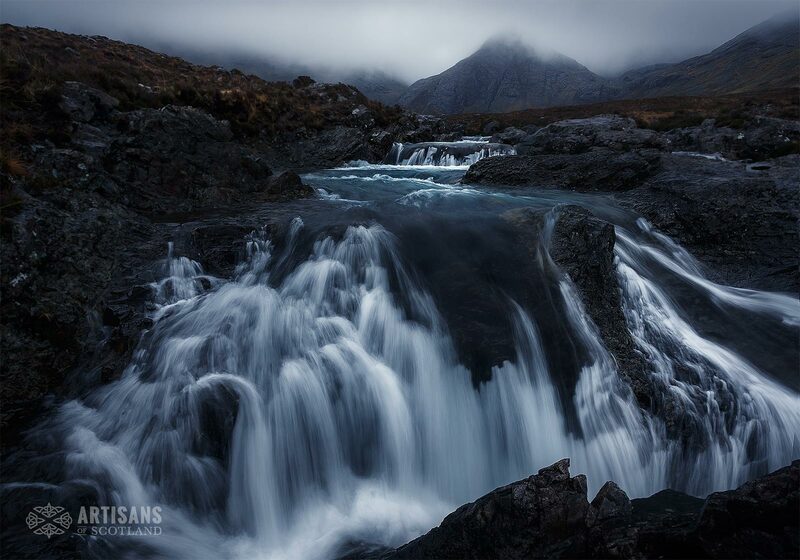 The Fairy Pools sit at the foot of the Cuillins with the black mountain ridges looming over them, beautifully crystal clear blue pools on the River Brittle. For the hardy and brave there is a wild swimming opportunity and for the rest of us a chance to soak up the wonderful atmosphere and get a feel for the mighty Cuillins without too much of a trek. 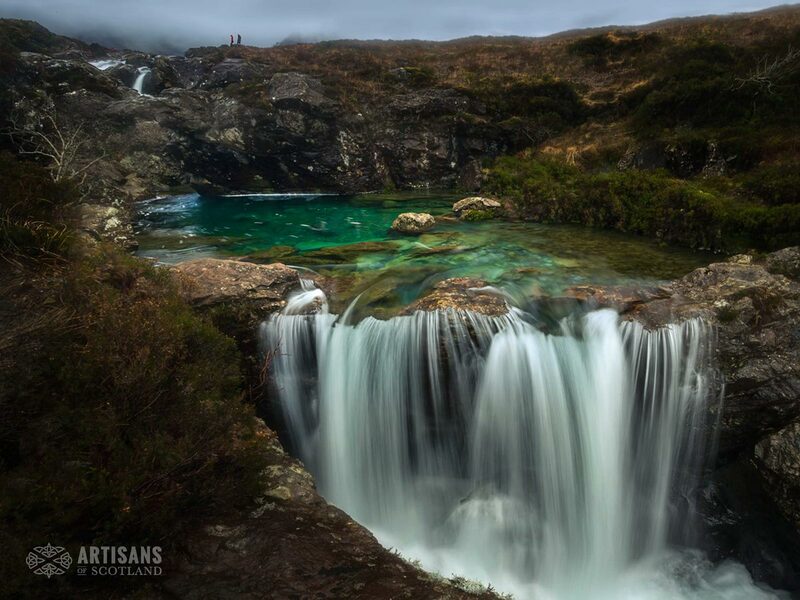 This photo was taken on an incredibly wet Scottish weekend, but a break in the weather allowed Umar to capture this beautiful misty perspective of the magical Fairy Pools. The Cuillin range dominates the south of the Isle of Skye and can be seen right across the island. 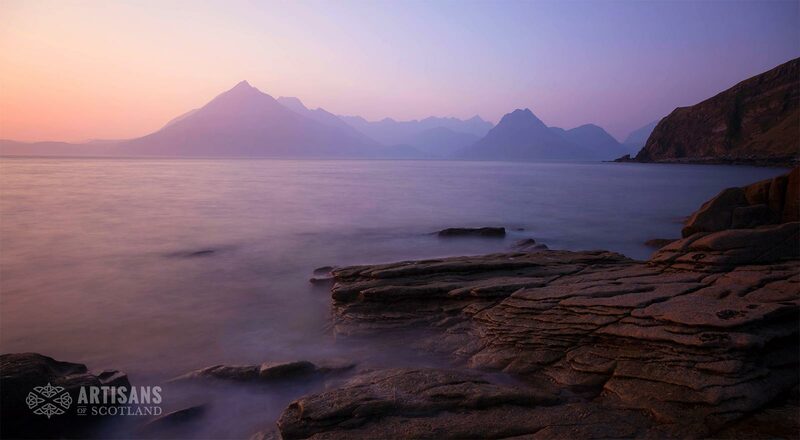 There are loads of great vantage points to view the Cuillins but one of the favourite spots is from Elgol and this image is testament to that. A wonderful sky dominates leaving a silhouette of the famous mountains. Elgol can be reached by road from Broadford. Sligachan is a small village on Skye close to the Cuillin mountains and the perfect base for a walking weekend in the hills. 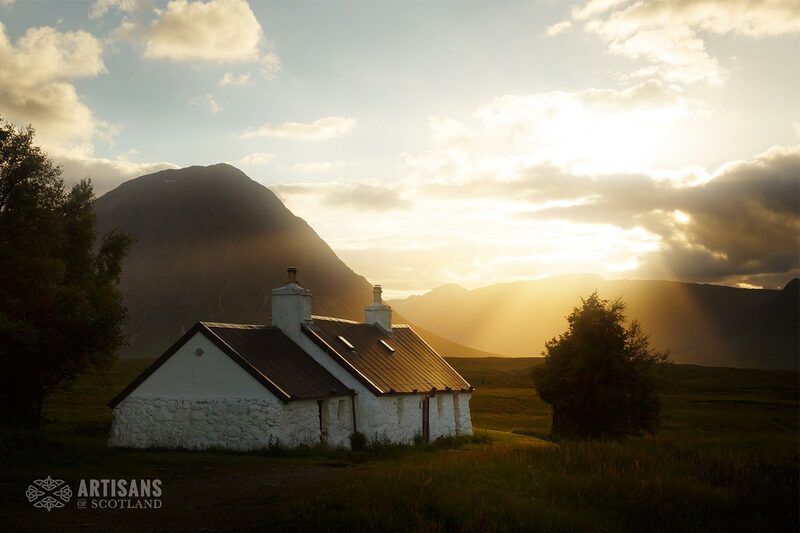 This beautiful photograph captures the sun setting through one of the Cullin peaks. Harris is the southern part of Lewis and Harris, the largest island in the Outer Hebrides. It beaches are often confused with those of warmer climes, and whilst they are just a beautiful, you often find they are wonderfully empty. This image captures Nisabost beach on another wonderful Harris day. 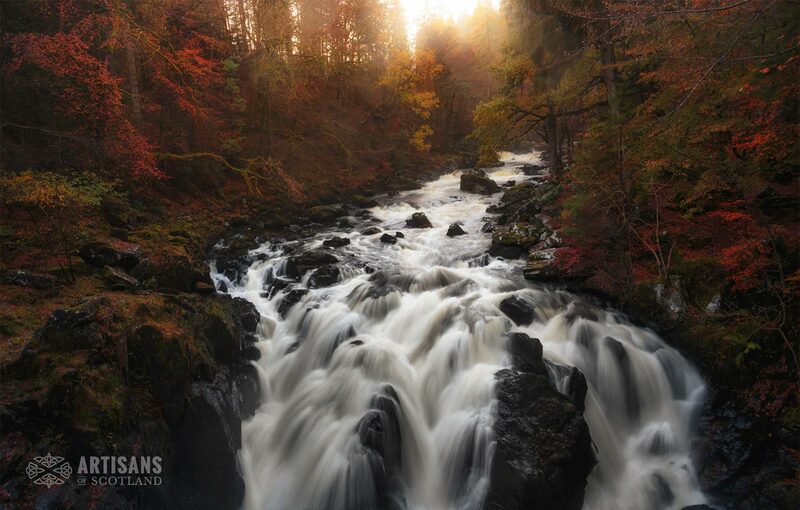 Scotland in the autumn is an amazing palette of rich oranges and reds, this image is taken on the lovely Hermitage Trail near Dunkeld. This image transports you to that time and captures the low evening sun dancing through the leaves. A really stunning image that will warm up any room. 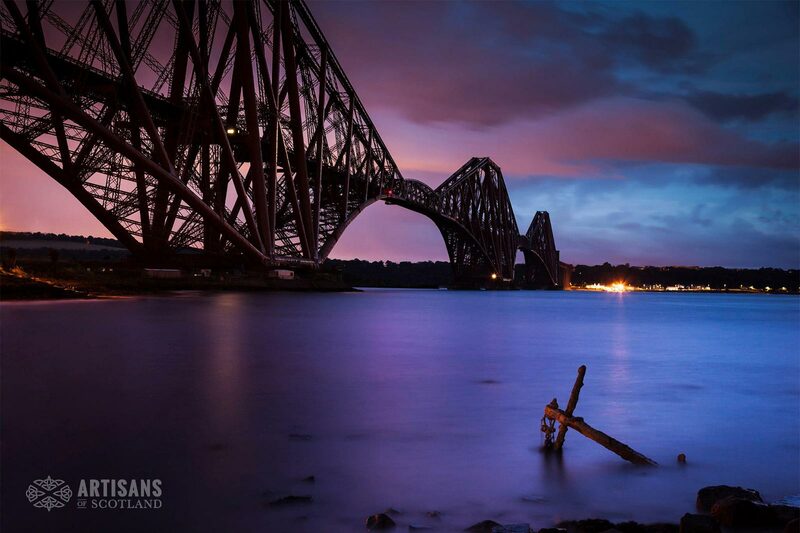 The Forth rail Bridge is a UNESCO World Heritage Site and an iconic Scottish image. This wonderful photo was taken at sunset from the edge of the firth of forth and shows the bridge in all it’s glory as the architectural and engineering masterpiece that it is. 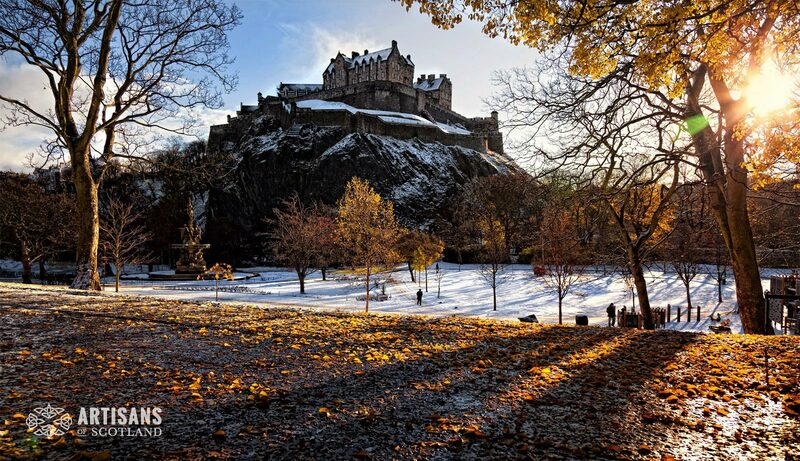 Edinburgh Castle is at the heart of one of the most captivating cities in the world. There is history round every corner and stepping off the train into the city centre is an assault on the senses. It’s amazing just how many times the castle is in view across this city, this beautiful photo was taken on a very crisp winters day from Princes Street Gardens at the north side of castle. 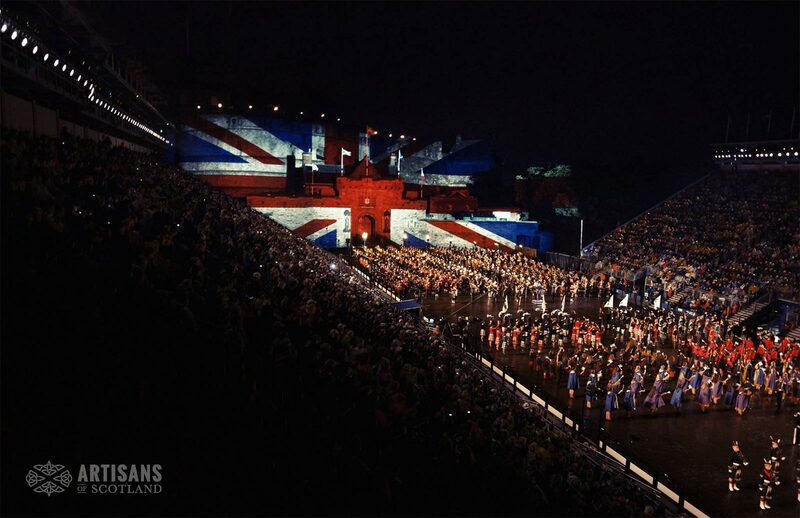 The Edinburgh Military Tattoo is the most famous event at the Edinburgh Fringe Festival. Fusing military pipe bands and culture from all over the world, this show entertains 220,000 visitors every year! Umar was on hand to capture this spectacular image of one tattoo performance in front of the beautifully illuminated castle. The details and interest is the image is incredible and you notice something new each time you look. The view of Edinburgh from the Nelson Monument is wonderful at the best of times but catching it at sunset is something else. The city is bathed in light and you can’t help think about the history of this city and the people who have lived here as your eye is drawn from building to building. From this vantage point it’s so easy to see why Edinburgh is often voted as one of the beautiful cities of the world. This is a must for every visitor and local to Edinburgh. 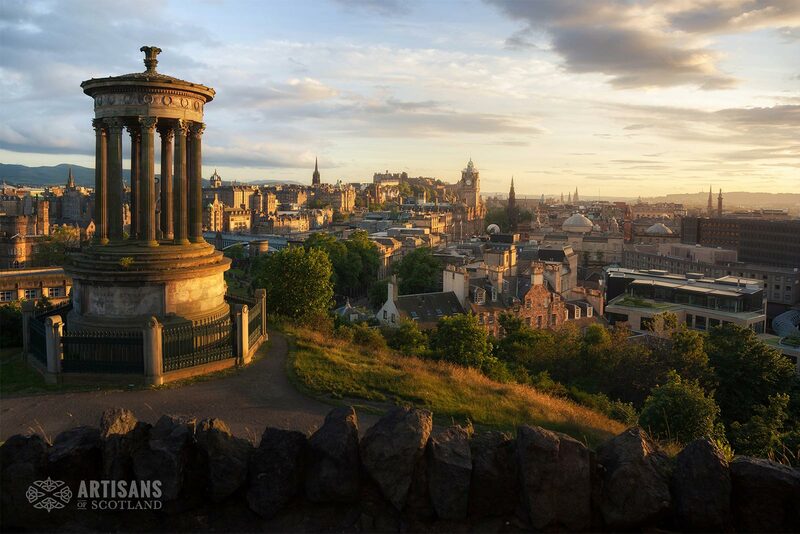 With this wonderful photograph, Umar has captured an angle of the Edinburgh skyline often overlooked. 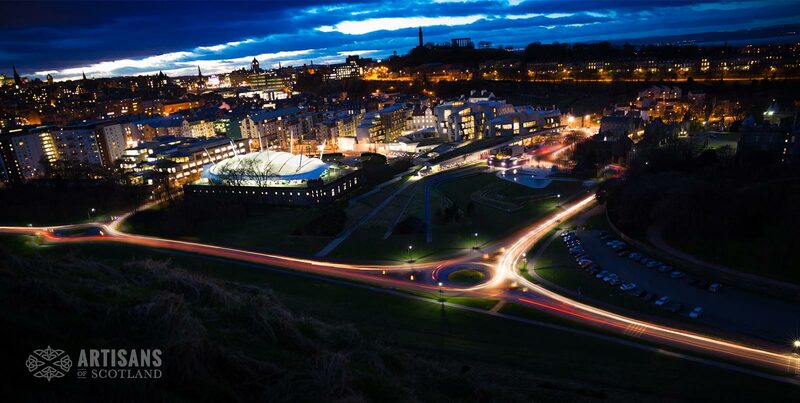 This night shot takes in the view from the Salisbury Crags overlooking the Scottish Parliament and Dynamic Earth. The open exposure has captured not only the rich colours glowing from the city but the hubbub of traffic moving through Holyrood park. 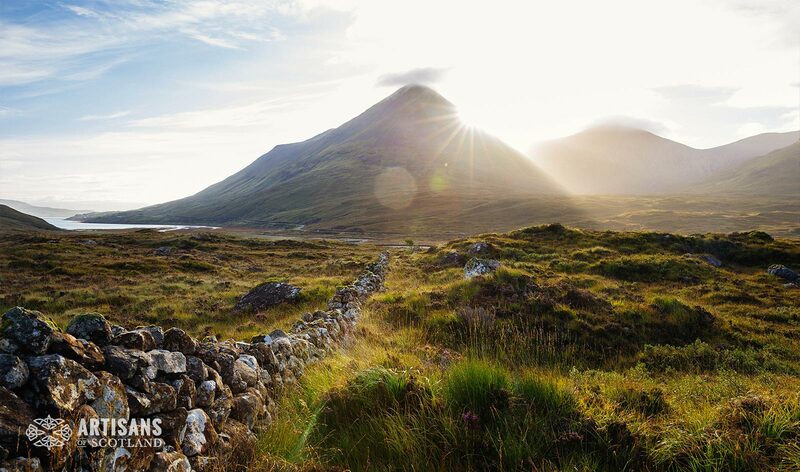 Glencoe is simply stunning as is steeped in history. The drive through Rannoch Moor is breathtaking and the walking in the area is exceptional. 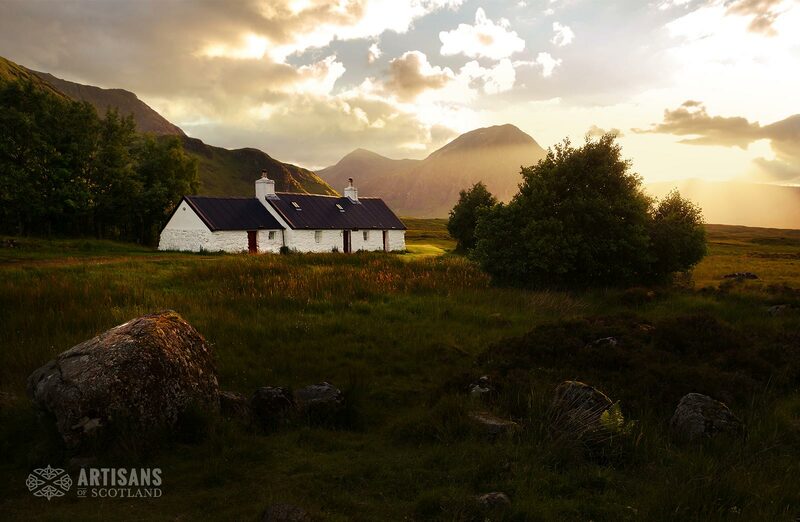 This image captures one of the local bothies, Blackrock Cottage in a scene that really epitomises Scotland and it’s unique landscape. If you love this image as much as we do why not book to stay in the cottage so you can soak up the view yourself. At just 2 1/2 hours from Edinburgh or Glasgow it’s a perfect weekend or even day trip. If that is not one of the most beautiful places in Scotland I don’t know what is! Glencoe is simply stunning. Whether you love the drive through Rannoch Moor, enjoy the exceptional walking or go to ski you can’t help but be taken in by its stark beauty. 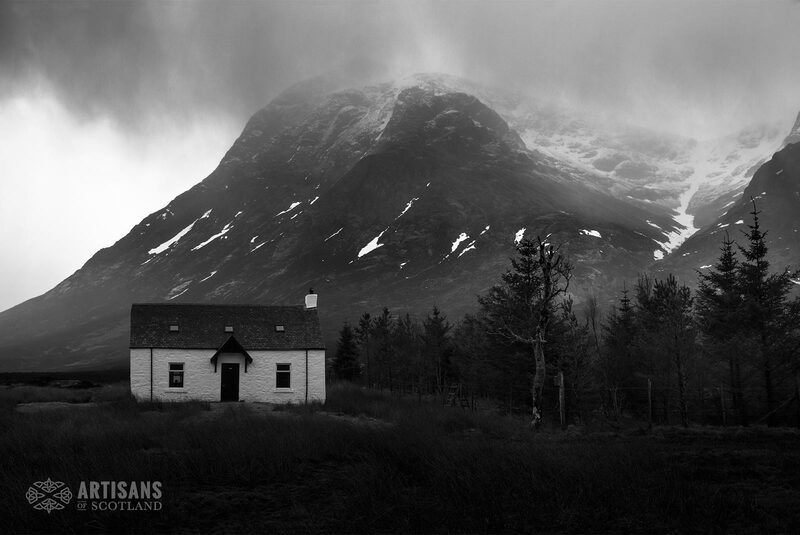 This image really captures the eerie, isolation of Glencoe with the Lagangarbh bothy standing alone in the dramatic landscape. The best way to see it of course is to spend time there and the Lagangarbh hut lets you walk the hills without a tent! 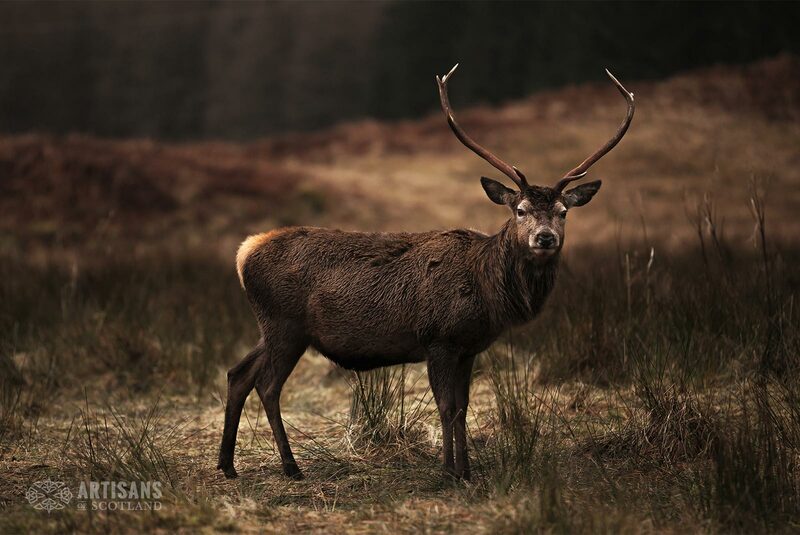 There are few sites more synonymous with the Scottish Highlands than a proud stag, standing tall in the heather and bracken of a mountainside. 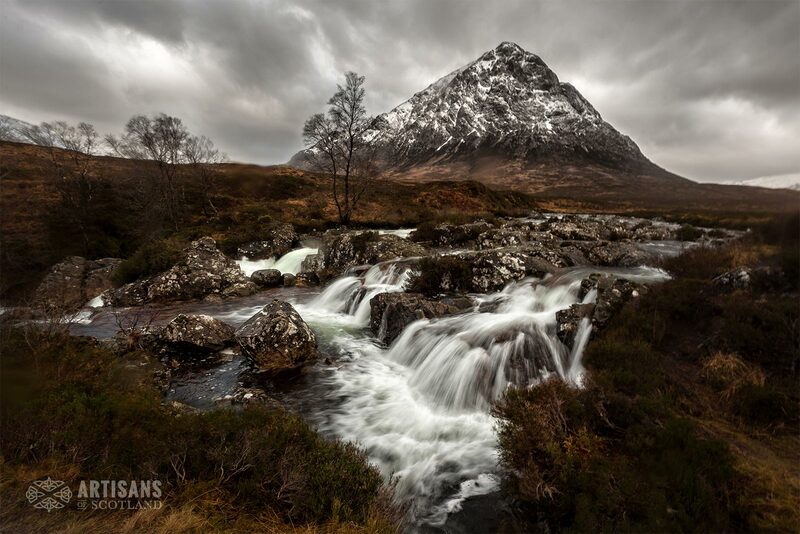 Umar captures the perfect moment in this image that he took on Etive Moor. The deer turns to camera, his brown coat sitting perfectly with his habitat, so aptly coined the ‘land of brown health’ by Walter Scott.